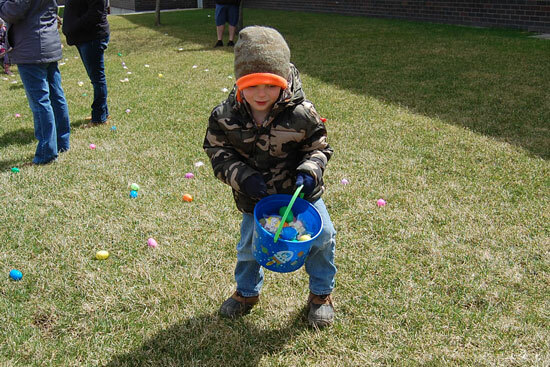 Hunters were divided by age into three groups. 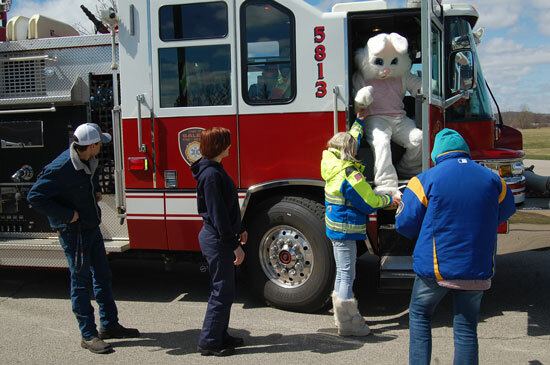 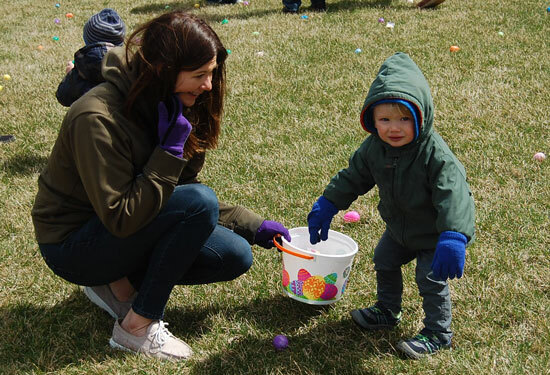 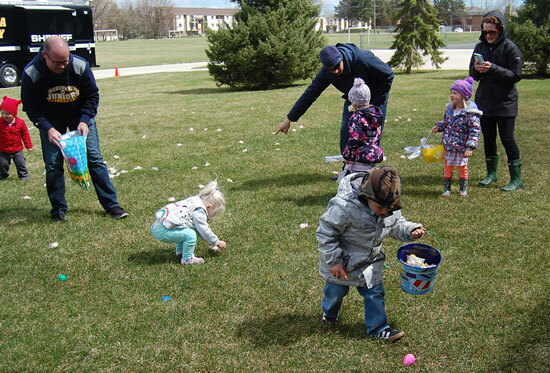 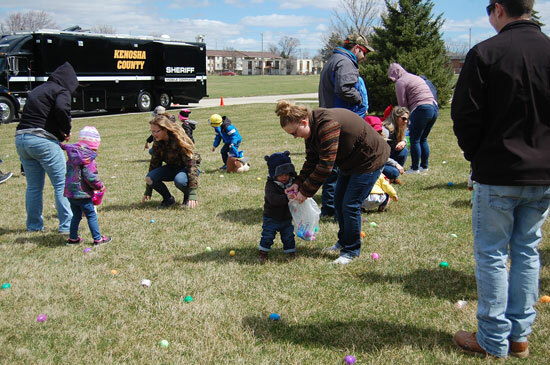 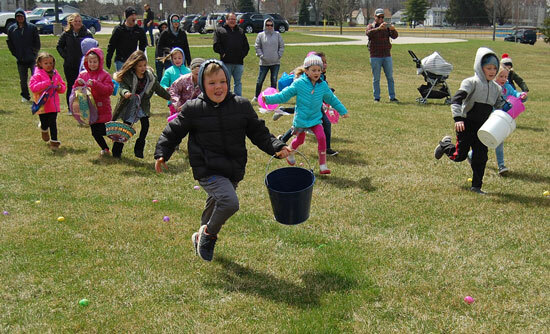 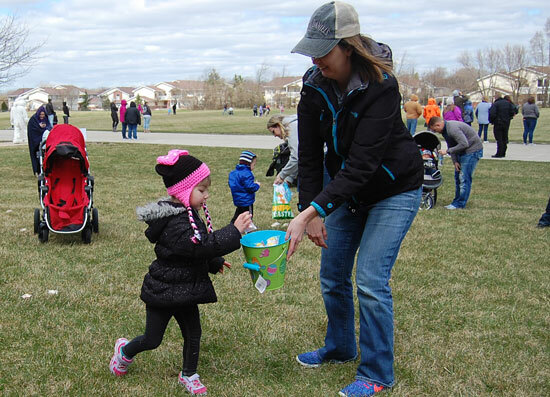 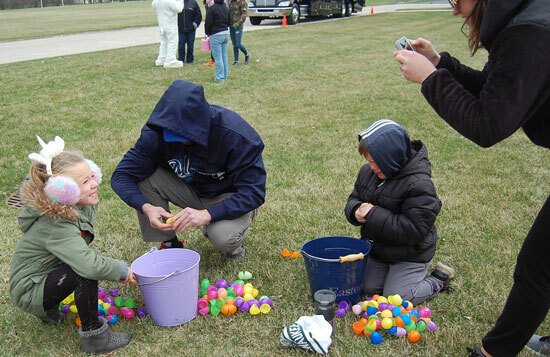 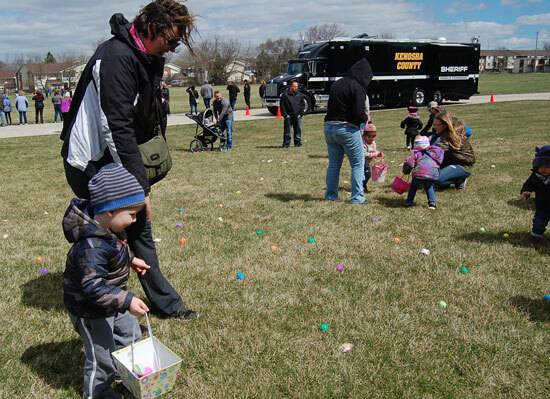 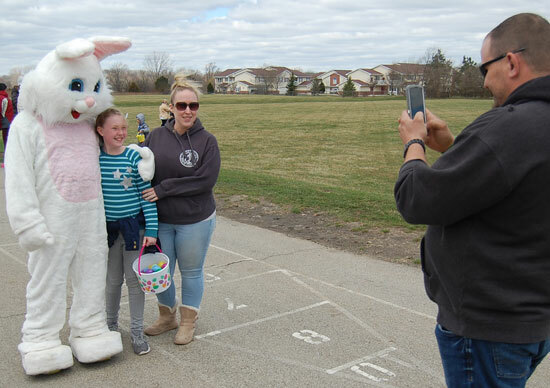 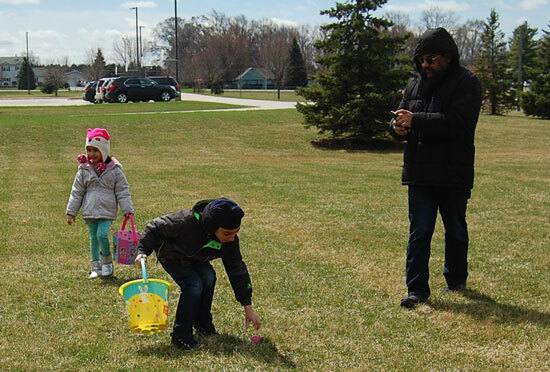 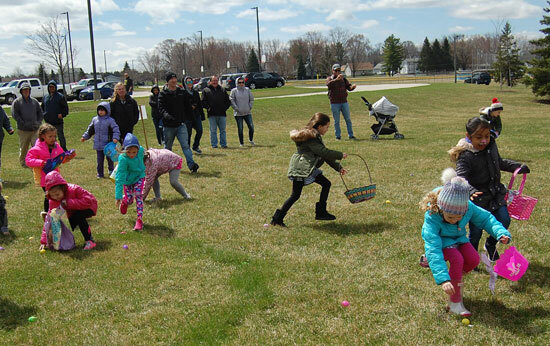 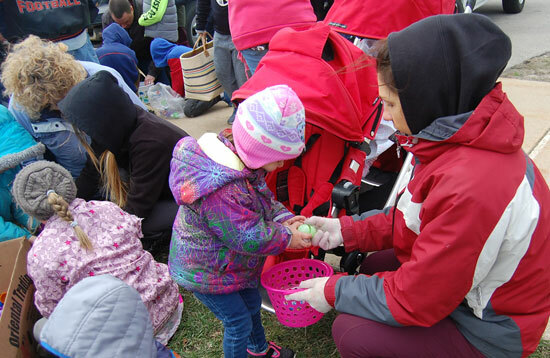 The Easter Bunny was brought to the event by a Salem Lakes Fire/Rescue engine. 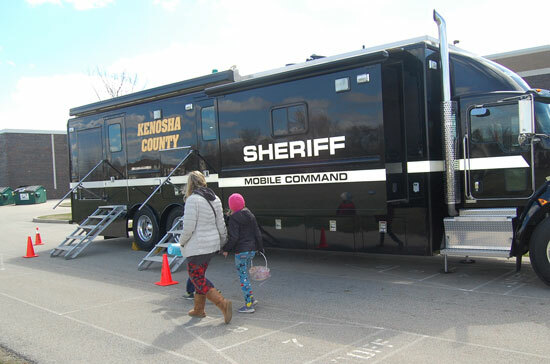 Vehicles from the Sheriff’s Department also were on hand.